Agree, can you provide the source or steer to the right website. Not a happy camper, camshaft and lifter issues (checked with two sources, Chevy Dealers and M&B Automotive (Jasper Engines). GM Reman, $8520.00, Jasper Reman, $6500.00, are anyone familiar with Jasper Reman Engines? I understand that most GM Reman comes from Mexico (not saying anything bad about it, but have heard horrific stories about GM Reman from Mexico), Jasper Reman, decades ago, were not up to snuff, but since than I have heard good reviews of Jasper Reman Engines (Jasper, IN) and the customer services they provide. I finally found a shop here, within 20 miles, that specialize in installing Jasper Reman Engines (they are an authorized dealer and shop for Jasper Reman engines) they can also do the upgrades to my gears, headers, performance cats, etc. Both prices (out the door) include 3 years/100,000 warranty, install kits, parts and labor. 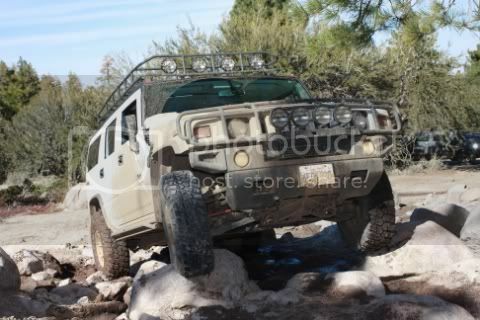 When I have to replace the engine in my H2 I am going to seriously consider converting to a Duramax. You could probably have it rebuilt for much less money. Does it still run? May just need a cam and lifters. Are you going to do any of the labor yourself? I had an ‘03 with stuck lifters. I did the labor myself and was in it for under a grand with a BTR stage 2 truck cam, hardened pushrods, LS7 lifters, GMPP springs, milled the heads .050”, new oil pump, and timing chain. Last edited by 5gn-h3t; 03-22-2019 at 12:44 PM. Unfortunately, when it comes to working on cars, that knowledge disappeared 5 decades ago. Last edited by BlueSteeleHorse07; 03-26-2019 at 10:48 PM. Now a Happy Camper!, took the truck in March 22, that evening, they started on it, the next day, picked it up Thursday, March 25, after lunch. So far, all is working, runs great, no leaks, but may still be too early to tell. Other good new got my Dyna Tech High performance cats are in, so I'll a week or two before getting them installed at the same shop, forgot total price of the Jasper Reman including kits, and labor $6850.00, to include a new wiring harness. Forgot to mention, as for re-gearing, an estimated price for change for re-gearing (front and rear), price quoted (just an estimate) may reach up to $4000.00, does the sound fair and reasonable? Tires and wheels may have to wait until after summer, planning to get a performance tune, first, after a couple more months of driving to make sure the engine is good to go and solid before I actually get the performance tuning, just want to make sure the engine is solid before spending $ for the performance tune. Last edited by BlueSteeleHorse07; 04-02-2019 at 09:18 PM. hood louver cut out benefits?